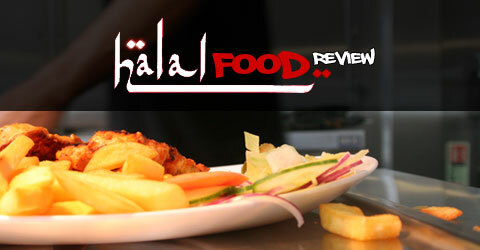 Salaams and welcome back to the Halal Blogosphere where we are very excited to bring you our first ever London review! Readers who have followed our blog over the years will know we’ve got Birmingham covered but inshallah over the next few months we want to bring you more national and international reviews! A big thank you for the review to one of our regular readers, its always great to receive a review from a reader who shares our passion for food! Working in my field you’re always on the road on one mission or another, London is one of those stops you make on a much more regular basis than any other city and in my case more so due to having family in the capital. As a regular reader of the Halal Food Review I’ve been waiting patiently for someone to write reviews in London (hint hint) with no joy so I finally decided enough is enough if no one else will do it I will, or at least I’ll get the ball rolling. On this occassion I was heading to East London. Driving down the Bethnal Green Road we had a couple of options including Maidah but we decided to stop off at Akza when we stumbled on it by chance and I thought lets see what East London can offer in terms of Turkish cuisine! The first challenge you always have in London is finding somewhere to park so it was great to find on street parking right outside the restaurant. I’m guessing I was quite lucky with it also being Sunday afternoon, I’d imagine it would probably be difficult to park otherwise during busier parts of the week. On this occassion I had travelled down with the wife and kids so was looking for somewhere that would be suitable for the family. Azka has a nice casual feel to it, the signage on the outside appealed to the creative side in me and the decore inside looked comfortable and suitable for a family dining experience. Once in the restuarant we were greeted by a member of staff who took us to our table. The menu at Azka is a very traditional Turkish menu but I was a bit baffled as I noticed that the majority of staff didn’t seem to be Turkish which did make me wonder how authentic or traditional the Turkish menu would be when I had the food in front of me! Thankfully my mind was put at rest when I saw the chef who was of Turkish origin! As we waited for our food to arrive we were pleasantly surprised to receive traditional bread, salad and sauces which again made me have a deja vu moment of being in Woody’s Grill another Turkish eatery in the capital. I guess it must be the standard thing to do at a Turkish restaurant in much the same way you get the poppadoms and sauces in Indian restaurants! The salad was a proper salad not the type you often find in restaurants which consist of some limp lettuce and if you’re lucky some bits of cucumber and onion. The bread came with a white sauce and a tomato salsa type dip, the bread itself could have done with being warmer. The first thing you notice about the food at Azka is the portion sizes which are absolutely massive! The mixed grill in particular was a really generous portion. The portion sizes ultimately overcame us and we had to take some food home, in hindsight we probably ordered for three adults rather than two and had underestimated how much food would be served. Both the mixed grill and the Iskander kebab dishes were of a really good standard. I was intrigued by how the Iskander kebab was presented. I am normally used to having it served in a bowl with the meat at the bottom with different layers of the yoghurt etc. I was told that the chef was experimenting with how to present their menu differently. The chef had been poached from a nearby restaurant so it seemed to me that the team behind Azka whilst not being Turkish had wanted to secure an authentic Turkish chef for the restaurant. On the whole thought I had very little complaints about the quality of the food it was really good. If I had one complaint about Azka it was that the restaurant was not the warmest place to eat which doesn’t help in the coldest February I can remember! Whilst not generally a problem it does mean that food also gets colder quicker than it normally would as happened with our rice. When it came to settling our bill we received a handwritten bill which you expect less and less these days, the total bill came upto £47.60 which was on the steeper side but we had definitely over ordered with the special mixed grill, the Iskander kebab and the three meze dishes in addition to two portions of chips. In addition to the food we ordered two cokes and two apple juices. I am guessing we might have also been charged for the bread and the dips at the start of the meal, we did have two rounds of the bread having asked for extra. The fact I didn’t keep a copy of my handwritten bill after paying makes me unsure as to whether or not the bread and dips were complimentary or not. Overall I thought the food was of a good standard, the total cost definitely reflected us over ordering! If I was to have one complaint it would be that the restaurant was on the cold side throughout our meal which is not ideal in winter!